Now here is a first for me. After reviewing so many exciting bars, this time around I present you a blend. 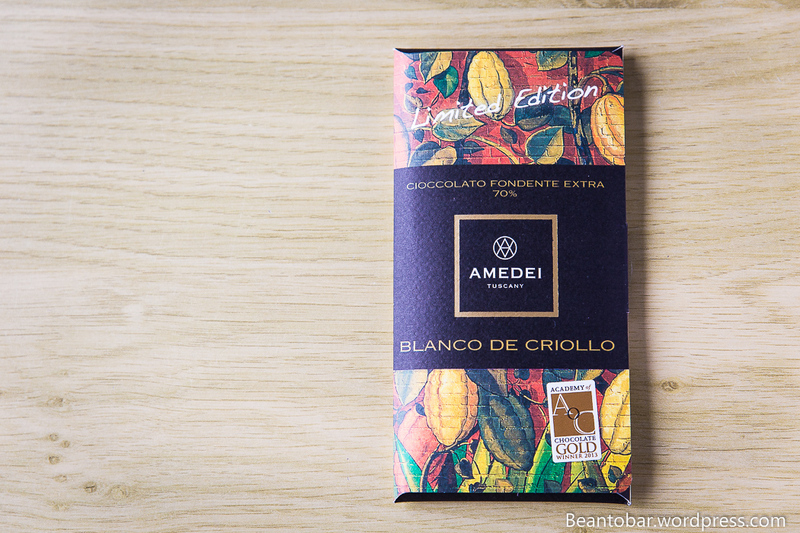 But if that blend is made by a company called “Amedei” and it features Criollo, I’m very confident I’ve got the attention of any true chocolate lover! Cecilia Tessieri travelled all the way to Peru, in search of the most delicate and noble Criollo cacao beans to create an extraordinary chocolate bar. 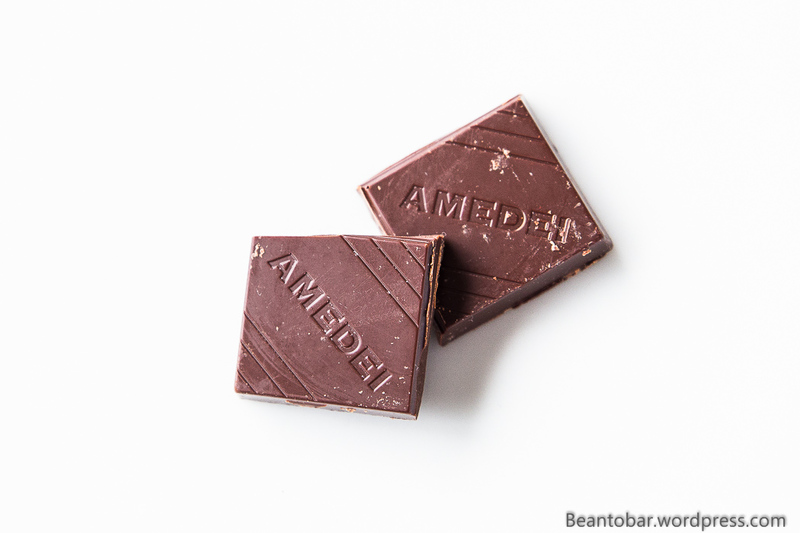 Amedei, based at Pontedera near Pisa in Italy, is renowned for its quality chocolate and high standards of production. This particular bar is part of a 20.000 piece batch, created in late 2012. As a limited edition, it carries its own distinct serial number, 12-903 in this case. The sleeve of the chocolate bar just breathes the luxurious Amedei tradition. 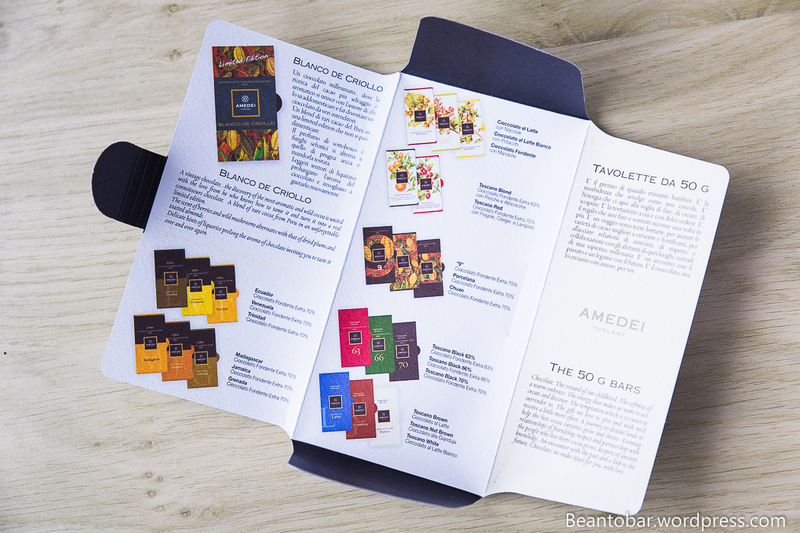 A wonderful design featuring the amazing color array of fresh cacao pods and Amedei’s distinct logo. Inside, tasting notes are provided and while you are at it, you get a nice overview of other creations by the company. From their traditional bars up to the single origins. A yellow blister keeps the bar safe from harm. Opening it, you are greeted by a glorious aroma tickling all your senses. 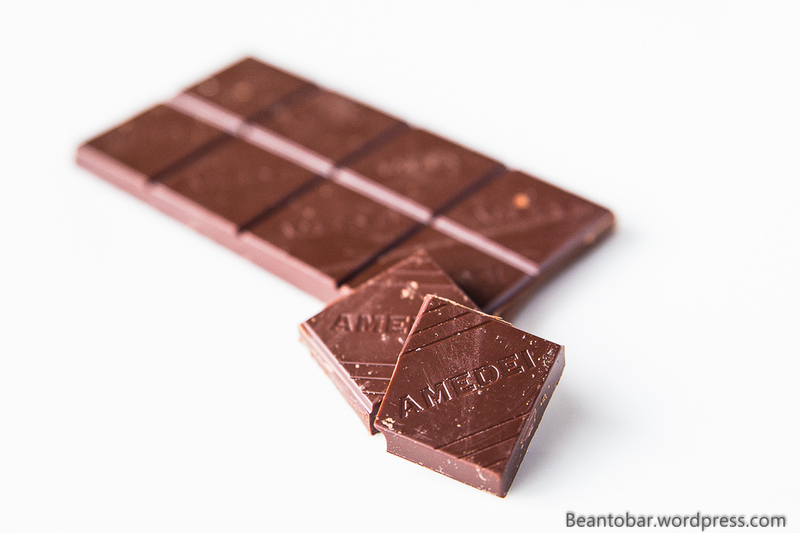 The bar itself doesn’t have an eye-popping design, but rather consist of a solid bar made out of rectangular pieces carrying the Amedei Logo. Color: a light, slightly reddish-brown. Aroma: the bar offers a distinct smoky and spiced scent. Deep and powerful – tobacco, sweet cinnamon, dried wood and cacao create a warm and inviting aroma. Taste: The chocolate has a good snap and a medium quick start. The taste opens up sweet for an instant, before gliding over to overwhelming pure chocolate tones. Dried nuts and a nice and gentle coffee bitter come through. The bar has a perfect melt and a superb texture – as expected from Italian chocolate. Furthermore, raisin and yellow plum are detected as the chocolate melts in your mouth. These notes blend in perfectly with the great chocolate taste and create a little refreshing moment. Next the wood tones from the aroma mingle in and make for a warm and balanced taste profile. The overall taste reminds me of the aromas you experience during a walk in the woods during a warm autumn day – earthy and sweet. Before the piece has melted completely, the taste offers more roasted hazelnuts. The aftertaste remains in same line and seems a bit more etherical with volatile toasted and nutty aromas rolling around for a prolonged time. Cecilia Tessieri has succeeded in creating a wonderful and complex chocolate – floating on warm, earthy tones, gently surprising you with delicate taste changes. A sign Amedei knows its trade to the very last detail and will only produce the highest quality. Blanco de Criollo – a bar you need to try whenever you get the chance!